I have chosen some of my favorite reviews to share with you below. Please visit www.facebook.com/photographybysarahlynn/reviews to cruise through 200 + reviews from my amazing clients. Click HERE for wedding wire reviews. "There are no words to truly express the admiration and appreciation that I have for Sarah. Just last week, I emailed Sarah last minute (the morning of!) asking her to road trip with me to the beach to capture my last day with my dog Lilly. Sarah was not only incredibly professional and did an AMAZING job with the photos - she also added love, laughter and meaning to a very difficult day. 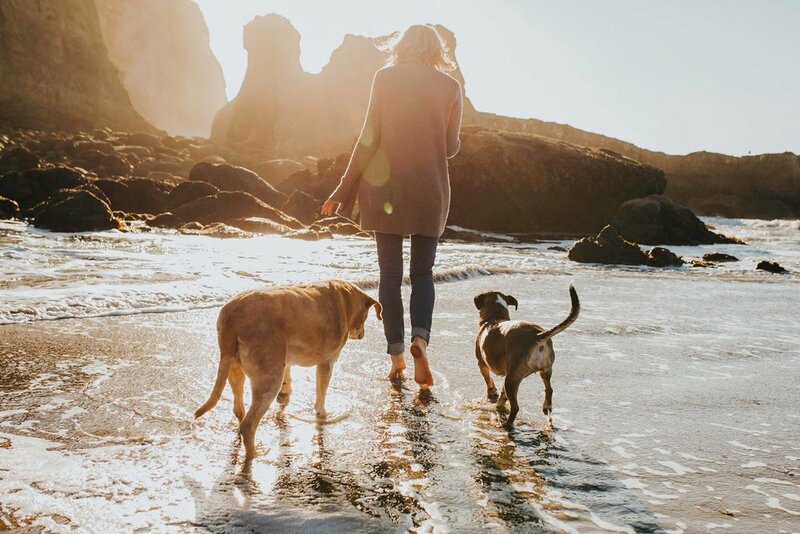 I absolutly could not be more happy with the results of the photos that she took and am so incredibly thankful for the memories that she captured of me and my little furbabies. Thank you Sarah! I will be forever greatful for your kind heart, your infectious kindness, your amazing talent and your willingness to help me capture my last day with my best friend on such a short notice." "Originally I had the mindset for getting a couple photos done of my boyfriend, dog, and I. Sarah went above and had the idea on where to take the photos, even grabbed a fun dress to play princess in! She’s not just an photographer, but an artist that transforms photos into a timeless pieces where she knows you will treasure forever. She works in any condition, and makes you feel comfortable on the kind of poses you would dream of in a magazine or model. I highly recommend her and thank her so much for the final touches she created. Now those photos are up around my house and I get to tell my friends and family how amazing she is!" "Where do I start.... First off Sarah’s energy is simply amazing, makes you feel comfortable and beautiful every second you are with her. I used her for my maternity photos that turned out exactly what I imagined in my head. Then I used her for my newborn/family shoot as well. She was amazing with both of my boys capturing precious moments that melted this mommas heart. Her patience, creativity, eye to capture moments in life that will last a lifetime is beautiful. I will continue to use her for future moments in life to hold onto forever. She is super reasonable in price, very fast at turn around time and edits." "Sarah was referred to me by a friend for my maternity photos. So glad I took my friends advice. Sarah was quick to respond to inquiries, helped with dress attire, and even sent out a friendly reminder. I was adamant about wanting my photos at Silver Falls, and she said yes right away with no questions asked. I love the fact that she is willing to travel for her clients, and venture outside of her area. The day of the shoot I wasn’t sure what to expect. I never met Sarah and to be quite honest I am pretty camera shy. Sarah made me feel comfortable immediately. During the shoot she made everything flow so beautifully. She is so determined in taking that perfect photo she even jumped in freezing cold water for us. She was absolutely amazing. I would and will recommend her to everyone. She will definitely be hearing from me again in the future." “If you are looking into Sarah and her team to be your wedding photographer, chances are you don’t need this review because you already can see that she is worth every penny that you will pay, no matter what package you get. She is not the cheap photographer as far as price is concerned, let me be clear though. Do not try and talk her down, do not ask her for a discount because you know her, and don’t you dare say to her that you have another photographer that will do it for less. If you want to look back at your pictures and have them make you feel the magic that you remembered so vividly on your wedding day, then Sarah’s portfolio will do that and more. My wife first booked Sarah for a Mother’s Day special session. Sarah suggested an amazing venue near our home and was there early waiting for us when we arrived, and the pictures turned out amazing. Next, we booked her for our wedding, and the engagement photo shoot was crazy. Meeting us at sunrise, Sarah took us from one beautiful location to the next. She did a great job of making us feel like we were having fun even though we are both so awkward at taking photos together. The wedding... Sarah played the role of photographer, artist, ninja, stress therapist, and friend. She was so flexible working with us around our schedule for the day, and she rolled with it when we moved up the picture time last minute on her. Not only did she have an amazing eye for her own photo ideas and opportunities, but when our videographer was asking us to do things, she was sneaky and took advantage of some great shots. We got highlight pictures back within a week, and the full photo set back earlier than the agreed upon window. The pictures are amazing. My wife and I are absolutely floored by how lucky we are that we have pictures that depict how we FELT that day. We were very lucky with all of our wedding vendors, but Sarah was by far a highlight. "Sarah is exceptional! My husband and I are expecting our first child and looked around a lot before deciding on a photographer to shoot our maternity pictures. Sarah was incredibly easy to schedule with and even moved up our shoot to accommodate for weather. She is creative and makes the experience feel fun, lighthearted and effortless. She has a wonderful sense of humor and really played off of our natural dynamic. I highly recommend her and do not have enough good things to say!" in love with her photography skills, but also with the person she is. Made us feel so comfortable during our engagement session and was patient with us. She made it fun and that was the best part about it. She is very creative and made everything so easy. It’s natural to her and I loved that throughout the entire process. I would definitely recommend her if you’re looking for a photographer. You will love everything about her and the photography!" "Sarah is so amazing!!! My pictures of my wedding are so beautiful! She is well worth every penny. She was very easy to work with and gave us a bunch of ideas for pictures (because I had no idea what to do). She’s so sweet and just so easy going and can accommodate to whatever you want/need. We will be doing our baby pictures (along with everything else photos) with her absolutely for years to come! Highly recommend!!!" "I'm so glad we chose Sarah to photograph our wedding! She is a joy to work with and takes some damn fine pictures. She was on time, professional, fun, and worked within our budget. 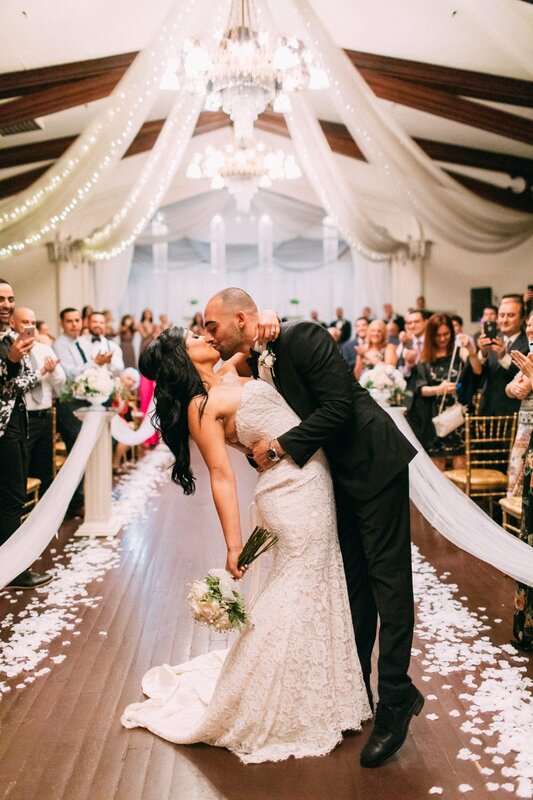 The preview pictures we just received from our wedding last weekend blew us away. She made our low-budget wedding look like it belonged in a magazine spread! Seriously, hire Sarah, you won't regret it." "Sarah was recommended to me by someone I hadn’t ever met before that day and she just raves about her work and how nice she is, (this person wasn’t able to book her due to a date conflict and still raved about her). I sent her a message and I’m not sure it was 10 minutes later when I got a response. I could tell we would get along great right away. She has great communication and makes you feel totally comfortable! Even my fiancé who does not prefer to be around others often said she was great! Looking at our engagement photos was kinda like watching us fall in love all over again and again. This has easily been one of the best choices we have made! I can’t wait to see what she does at our wedding. If you have any doubts just DONT! She won’t disappoint! I couldn’t be happier! Thank you Sarah!!!!" "My husband and I did our maternity photo session with Sarah. She is seriously the sweetest person I’ve ever met. She drove all the way to our house and helped make our home the perfect back drops for all our photo ideas. She spent so much time with us making sure we got every Pinterest shot we had hoped for, and then some. Such a sweet soul and so good at what she does. Will definitely be using her for all future photo shoots." "My fiance and I were LUCKY to find Sarah. I am a wedding model and have worked with hundreds of wedding photographers and I can tell you right now Sarah is AMAZING. She shot our engagement shoot and I am IN LOVE with her photos and all her work. Her willingness to work with you as a client and her artistic view to capture the beauty within each photo really shows in her photos. She is extremely professional and is hilarious! She makes for a fun filled shoot and I HIGHLY recommend her. If you are on the fence don't be any longer. This lady is worth it. I will be recommending her to all of my friends for future business inquires! I cannot wait for her to shoot our wedding day!! Thanks Sarah for all that you do!!" "After flying a total of 19 hours and 7,982 miles I cannot explain how happy we are we contacted Sarah for the perfect Oregon maternity photos. I cannot wait to show our friends and family and give them a taste of our little vacation! Sarah was very attentive with coordinating and gave us direction during the shoot which we loved. She also found us some llamas to meet which was probably most memorable part of our trip! I would definitely recommend ! Such a sweetheart!" "UPDATE!!! Since Facebook wont let me add a new one I'm adding to my original review. Sarah was unbelievable at our wedding and her second shooter Ashley was just as awesome! I cant believe how amazingly perfect our pictures came out, Sarah and Ashley teamed up and worked our wedding so effortlessly, I didn't even realize they were running around. They captured so many special moments that bring back the memories for that day. We didn't have a videographer but I wasn't worried because I knew we were in great hands with Sarah and she helped make our day so perfect! I would recommend her for any shoot, she really does it all! Sarah is amazing! From the very beginning she was very personable, answering every question and even help picking outfits for he day! My fiancé and I felt very comfortable from the beginning, even though he’s not a fan of taking pictures or lots of them, she helped make him feel more comfortable. I love how Sarah adapts herself to fit the couple weather you are new to this experience or you want to hike up he side of a hill in three inch wedges she’s down for it! I can’t wait to work with her for our wedding!" Sarah did our engagement and wedding photos and ROCKED IT! For our engagement photos she went above and beyond. We had our shoot planned at the rose gardens but I had a little idea and after I mentioned doing a few photos at Salt and Straw where we had our first date as well, she was all in! She was so flexible waiting in line and really knows how to make you feel so confident and comfortable in front of the camera. Our engagement photos were incredible and she turned them around so quickly, even after I was a bit delayed in reviewing and needed to get some prints ordered for our wedding guestbook. Literally I've never seen someone turn galleries around so quickly! All my friends who got married this summer were waiting 6+ weeks before they saw any of their photos, and if they got a sneak peek it was only 1 or 2 or took 4 weeks. She was AMAZING on our wedding day. She truly captured the day while being super flexible with a bit of an odd schedule the day of. We wanted someone who felt like a friend and was positive and encouraging since we'd be with them so much on our wedding day and Sarah was a dream. Our sneak peek she posted a few days after was gorgeous and now that we've received all of our wedding day photos (only a few weeks after the wedding), I've absolutely fallen in love with her work all over again. Sarah is incredibly reliable, responsive, and helpful (in addition to her amazing talent, her work speaks for itself). I was continuously more and more impressed by her commitment to her clients and how she is always willing to go the extra mile. She cares so much about her brides and couples and you can tell the heart she puts into every shoot. 1000% 10/10 recommend choosing her and her team for your wedding! My only advice is to book her up early. So excited to have her capture more portraits for us in the future (especially with our fur children)!